At least four businessmen were arrested in 2013 alone, and another two the previous year. 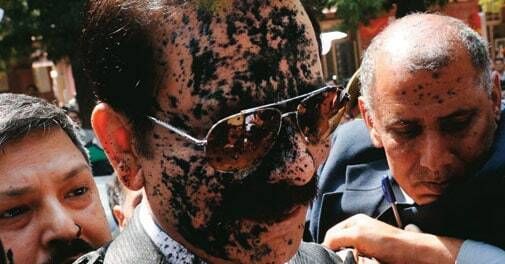 Manoj Sharma got Subrata Roy on March 4, as the Sahara chief was produced in the Supreme Court after being arrested by the Lucknow police four days earlier. But the chubby ink thrower from Gwalior missed many others. The case of Satyam's B. Ramalinga Raju, arrested in January 2009, of Pyramid Saimira Theatres' P. S. Swaminathan, arrested fi ve months after Raju, and of Britannia's Rajan Pillai before them, who died in Tihar Jail in 1995, may be distant memories. But at least four businessmen were arrested in 2013 alone, and another two the previous year.